So, you’ve launched your official e-commerce storefront and now you’re ready to assist customers as they come rolling in. From selling shaving equipment to offering custom picture frames, the Internet opens up a world of potential to you and your business. With limitless opportunities, there’s nothing to stop a well-oiled e-commerce site. However, with competition perched on every corner, it does take something extra to stand out from the pack. Regardless of how great your offered products or services are, a digital storefront will remain unknown without proper advertising. While social media marketing, pay per click advertising and guest blog posts all have a place in an advertising budget, email marketing offers a high return on investment. There’s a reason why startups and corporations alike rely on email marketing to grow a business. To maximize your e-commerce store and boost the bottom line, here are seven proven ways to utilize email marketing. Before looking at seven proven ways to maximize your e-commerce store using email marketing, let’s look at why you should use the advertising method in the first place. After all, it’s an older Internet marketing operation, with flashier methods existing through social media and Google AdWords. For starters, did you know email marketing is the third most influential B2B source of information? According to Imagination (2017), it ranks only behind insights offered by industry leaders and colleague recommendations. This directly relates to 59% of B2B marketers stating email marketing stands as their greatest form of revenue generating advertisement. Additionally, according to eMarketer (2016), 80 percent of retailers say email marketing drivers the highest level of sales and boosts customer retention over any other form of Internet marketing (social media stands as the next closest marketing method for boosting sales and customer retention at just 44 percent). As you can see, email marketing provides a cost-effective method for reaching customers, boosting sales and retaining current clients. With so much on the line whenever you send out a new message, you need to do what you can and take your email marketing to the next level. One size fits all doesn’t truly “fit” anyone. Whether in regards to a t-shirt or marketing approach, the end result leaves much to be desired. Despite this, far too many advertising firms out there use this very method when creating email lists. However, the fact of the matter is your business likely caters to a series of demographics. What interests younger Millennials likely has no impact on senior citizens, so why send each the exact same message? That’s a quick way to ensure all future messages are banished to the spam folder. Instead, you need to segment your emails into individual lists. According to the Lyris Annual Email Optimization Report (Hub Spot, 2017), 39 percent of marketers indicated list segmentation increased message open rates, while 34 percent of marketers found the messages contained more relevant content for recipients. Additionally, marketing firms saw a 28 percent drop off in unsubscribe rates while at the same time experiencing a 24 percent boost in revenue. So how do you go about breaking up your email list into smaller, sub-categories? For starters, look at segmenting it into different age groups. You may provide a student or senior citizen discount, so it helps to separate the email lists in this way. You can create lists specific for the media when creating press releases, or look at how someone ended up on your email list (did they purchase something, sign up for a newsletter or fill in a form at a convention you visited?). Take everything into consideration when breaking your email list up and arrange accordingly. For many individuals, their smartphone acts as central command. They have it with them throughout the day, it’s their primary means of communication, and they conduct business with the device while away from the office. So with the growing importance of mobile devices, why would you send an email that isn’t mobile friendly? Sadly, there are plenty of businesses still using archaic technology and email formatting (although you can use this to your own company’s advantage by properly formatting messages and move ahead of the competition). The United States Consumer Device Preference Report (Marketing Land, 2015) indicates 49.5 percent of all emails are now opened via a smartphone, with another 16.8 percent opened with the aid of a tablet. This means 66 percent of all emails sent are now viewed on non-computer screens. What happens if you send an email not mobile friendly? According to research conducted by Litmus (Litmus, 2015), 71 percent of people who receive an email not formatted for mobile devices delete the message instantly. This means that if you fail to format your email for mobile devices, nearly half of your sent messages will end up deleted on the spot. So how do you go about making sure your emails load correctly on mobile devices (and the wide range of mobile operating systems, Internet browsers and email applications found on smartphones and tablets)? For starters, take advantage of a service such as MailChimp. MailChimp is a free email list-creating tool that allows you to view how your email appears in devices, applications, and screen sizes. Beyond taking advantage of MailChimp, use a single-column design. This allows the information to scroll up and down easily. Allow for plenty of white space as this improves scanning capability and take advantage of large, bold headlines. You may also want to use a singular image or an embedded video. Lastly, when including a call to action button or link, make sure it is at least 44 square pixels. Anything smaller and it becomes difficult to tap on a screen. If you find formatting emails on your own difficult, dozens of online marketing firms provide mobile-friendly templates for download (MailChimp offers this service). How often have you received an email from an address marked “don’t reply,” “no reply” or some variation of the two? When you receive the email, what do you do? If it comes from a company you trust and shop with often, you may still open the message and read it. From most other businesses or third-party senders you probably either avoid it or delete the message altogether. When you fill out a form on a website, you’re often asked to answer a small question, type out an odd set of numbers and letters or check off a specific box to prove you’re not a computer or bot. Despite wanting to make sure you’re not a bot, these same businesses use bots to automatically email you. Regardless of if you create the email or a computer system automates the message (often when confirming a product purchase or scheduled appointment), using a “no reply” name in the email (such as [email protected]) significantly hinders your email marketing campaign and your ability to maximize the e-commerce website. For starters, ISPs and email services are more likely to flag the message as spam. Should your message end in spam it likely will remain there, never to be opened until the email service automatically purges the message. Beyond the potential for ending up in spam, using a “no-reply” email makes it difficult to stay on top of your email list while reducing the ability to grow the list. If you’re not including share options within the context of your email’s message (you should be), a customer interested in sharing your contact information can’t forward it to a prospective client as there is no email address for them to respond to. Lastly, the age of social media has revolutionized the way consumers and businesses interact with one another. It has removed barriers, allowing customers to see the individuals who work within a business, and not a faceless, global enterprise. Not including actual name information strips away an important persona. You want your business to have a human face on it. The “no-reply” email address gives off the opposite appearance. Instead of relying on the antiquated “no-reply” email address, opt for a human name attached to it (ideally you’ll use the name of an actual employee, or yourself here, but any human name is better than none). According to SuperOffice, a marketing firm in Norway, sixty-four percent of marketing email recipients say they open an email completely based on the name attached to the message. Personalization always beats no personalization. 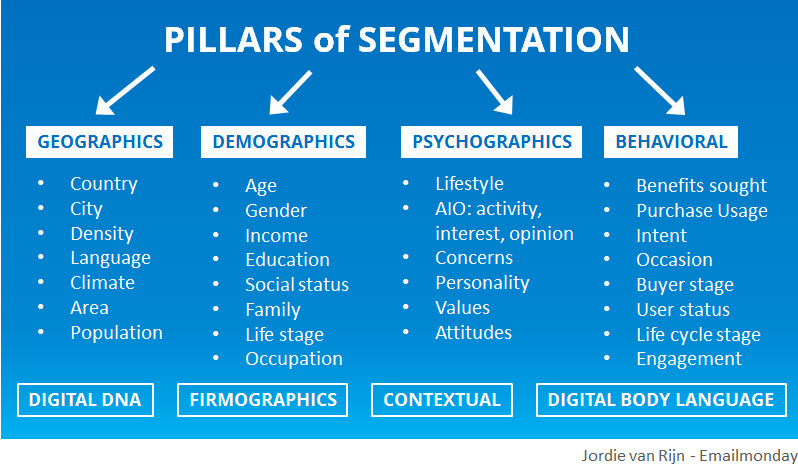 Essentially, personalization demonstrates how you connect directly with the customer. Creating segmented email lists helps significantly with this, as you’ll already know the demographics, desired products and other specifics on record (just another reason why you need to create segmented email lists). The more your messages demonstrate this connection, the greater the chance of the customer following your call to action. The first area of personalization to focus on is the subject line. Don’t simply send mass email blasts with generic titles. According to Campaign Monitor (2017), individuals receiving emails with a personalized subject line are 26 percent more likely to open the message. Once a recipient decides to open up the email, the personalization needs to continue. Including their name at the top of the message gives the feeling of a custom created letter (make sure to use the same font, color and text size with the name and the rest of the email, otherwise it looks copied and pasted on). Within the body of the message, make sure the information is pertinent to the recipient. Your segmented email lists help with this. Failure to offer relevant, personalized information may result in the recipient unsubscribing from the newsletter or requesting to be taken off your mailing list. According to the same Campaign Monitor survey, 74 percent of online customers are more likely to turn away from a service provider after receiving an email containing nothing related to their interests. 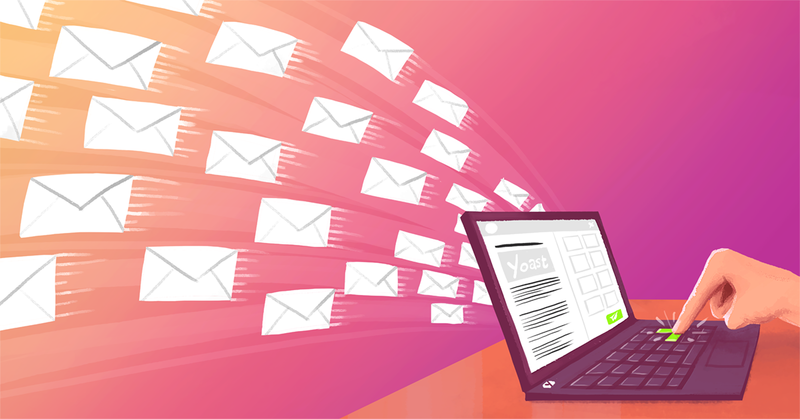 It may take a bit of additional programming within an email generator or related service, but ensuring all messages are properly personalized and sent to the right target audience helps boost readership, subscribers, and potential sales. Creating a message and sending it at any time of the day is one of the beautiful features of email. Regardless of location, time zone or content, the message will end up in their email (and hopefully in their inbox). However, that doesn’t mean they’ll actually see it. Like everything else on the Internet, from social media posts to YouTube videos, there’s an optimal time to share the content. There are certain times of the day an individual becomes more (or less) likely to see and open an email. For many business professionals, the open rate increases between 8 a.m. and 9 a.m. Beyond that, the open rate drops off. Now, this does depend on the profession. If sending to college students, the open rate may increase closer to 10 or 11 a.m. For professionals who work the third shift of a manufacturing job, the optimal time changes as well. So, let’s say you send a marketing email at 7 p.m. and the optimal time is before 9 a.m., doesn’t that mean you just have to wait for the recipient to see and open the message? Not necessarily. The longer an email sits, the more incoming messages push it down the display list. This increases the chances of it being missed entirely. Due to this, to maximize the effect of your email marketing and boost incoming visitors to your e-commerce website, you should send your message just prior to the optimal open time. Instead of sending your email at 7 p.m. the night before, schedule the email to go out at 7 a.m. the following morning. By adjusting the time you send the email, you maximize visibility while ensuring it’s front and center for the recipient. Make sure to keep in mind time zones. This one little caveat can cause all sorts of problems and missed opportunities. You may run your business in California but have emails to send to someone in Maryland. Your 7 a.m. email ends up hitting their inbox at 10 a.m., which may mean it sits in their account for a full day without viewing and countless emails coming in on top of it. When creating your email list segments, always keep in mind time zones. It’s a little detail that plays a major impact in how, if and when someone views your message. As a small business owner, you understand the importance of analytics. The more data at your disposal, the easier it becomes to identify trends, understand your key demographic and improve marketing techniques. Despite this, too many businesses fail to use analytical data within their email marketing campaigns. The first step in monitoring an email campaign is to track messages. Without directly tracking emails sent and how someone interacts with the email it becomes next to impossible to understand the campaign’s success (or lack thereof). The best way to track emails is to take advantage of UTM codes (short for Urchin tracking module). This is a small code attached to custom URLs. This way, when providing links within a sent email, the custom UTM code is built into the link. Every recipient of the email has a unique code, so when they click on the link, you can instantly track where the link comes from, what they interact with on the website and what draws their attention. Essentially, a single UTM code gives you specific analytical data on every individual who visitors your e-commerce storefront through the email marketing campaign. Using Google Analytics (or other analytical programs you may choose to use) you can track email campaigns. Did you know you have an IP address sending reputation? What is this exactly? Think of it like a credit score, only for your IP address. Known as a sender score, mailbox providers look at a host of analytical data to determine whether or not the messages you send directly go to spam or to the inbox. This is beyond the instant flags of potentially fraudulent origin addresses or spam looking subject lines. So what makes up your IP address’ sender score? There’s a host of variables, but some include spam complaints, number of times your IP address has been blacklisted, subscriber engagement, how often you email to unknown users, whitelist content and if you send out to spam traps. Mailbox providers take everything into account and come up with a score, ranging from 0 to 100. You need an IP address score of at least 90 to be accepted by most mailbox providers. Anything under a score of 90 and your email marketing material ending up in the spam folder increases. How do you check your IP address score? There are a few different services offering assistance. Return Path Sender Score allows you to check your score for free. The service provides you with a host of reputation data measurements and how it impacts your score. Depending on what your score is, it shows how you can correct the issue and boost your reputation back over the 90-point mark. When done right, email marketing has the potential to significantly boost your e-commerce storefront. By taking advantage of these seven proven ways to maximize your website potential, you’ll increase your marketing research, grow your analytical tracking data, improve visibility and ensure your email lands in the inbox. In no time at all, you’ll begin to see a greater return on your email marketing campaign, which, in turn, helps drive sales and boost your bottom line. What email marketing best practices have you implemented into your E-Commerce store? Has it improved your store sales?